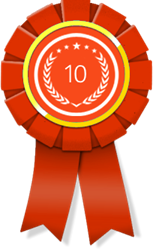 This month, 10 Best SEO awarded the following top Philadelphia SEO agencies with honors for their excellence: WebpageFX, GetPhound and Dinkum Interactive. 10 Best SEO’s monthly rankings are a great way for people who operate a business online to discover SEO agencies that have the expertise to help their clients quickly rise to the top in the search engine rankings. 10 Best SEO is proud to announce the July 2016 winners of its monthly award for the Leading Philadelphia SEO Company. Award winners in this category are WebpageFX, GetPhound and Dinkum. The award is designed to help highlight Philadelphia-based digital advertising companies that excel in providing clients with top-notch search engine optimization services. Here are more details about the winning agencies and their approach to doing business in the marketplace. As a top Philadelphia SEO company, WebpageFX is committed to offering clients cutting-edge, customized search engine optimization services that take their page ranking from average to awesome as quickly as possible. The techies of WebpageFX are a client-oriented community, meaning that the business owner's professional preferences and personal needs always come first. After establishing understanding regarding the client's brand vision, the representatives of the company move with skill and speed to implement proven strategies that will optimize the client's connectivity with her or his target audience. As a leading Philadelphia SEO agency, GetPhound represents a team of forward-thinking marketing specialists who utilize the most innovative methodologies available to ensure that the client's online presence is optimized for visibility and conversion. As a team of SEO mavens with extensive experience in the field, the professionals of GetPhound are skilled in deploying multiple approaches to optimize the client's ranking in the search engine results pages (SERPs). Some of their methods include keyword analysis, link building, and target market research. Being one of the best SEO agencies in Philadelphia, Dinkum Interactive is a digital firm that thrives on providing business owners with diverse, dynamic online marketing services that help them take over the Internet. As a team of search engine optimization experts, the techies of Dinkum Interactive specializes in using cutting-edge marketing techniques to ensure that the client's products and services become increasingly visible to the target market. The professionals of the company also excel in providing each of their clients with ongoing feedback regarding the status of the SEO campaign. For superior, expedient SEO services that optimize the conversion process, businesses can depend on the professionals of Dinkum Interactive.